This processing is in homage to Joey Lawrence and Dave Hill, two exceptional photographers. The Dave Hill portion of this tutorial (what I call "extra crispy") is courtesy of this original tutorial. As with all processing, your personal taste counts for something. This tutorial is set up to allow you to tweak to your heart's content. This process is not meant to be a one-size-fits-all tute, rather some insight into different ways to play around with your image. 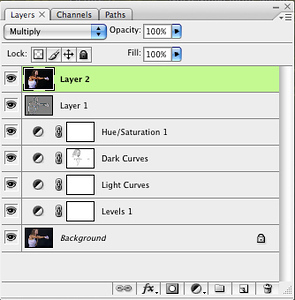 This tutorial also assumes you have a good understanding of Photoshop. First, you'll need to start with a well-lit image. 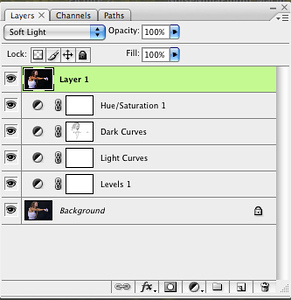 Create a Levels adjustment layer and modify levels for slight contrast. 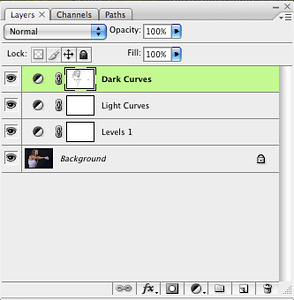 Create a Curves adjustment layer to bring up the highlights. 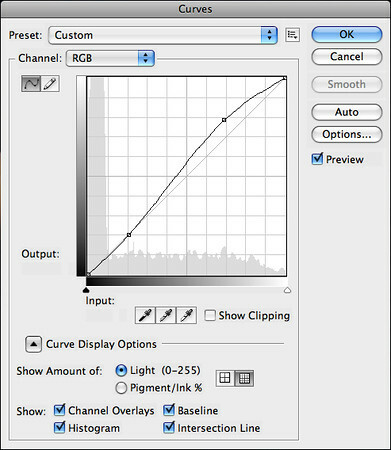 Create a second Curves adjustment layer to darken the shadows. 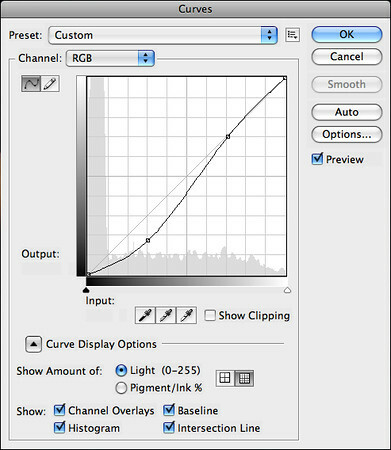 With the top (dark) curves adjustment layer selected and your foreground color set to black, use a soft brush (0% hardness) at a low opacity (around 20%) to paint over any place that has gotten too dark. 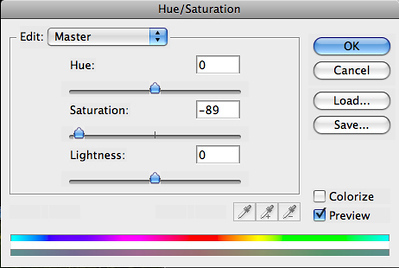 Create a Hue/Saturation adjustment layer and slightly desaturate the image to taste. 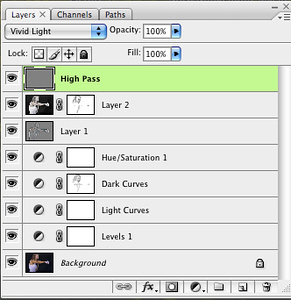 Merge visible into a new layer (Shift + Alt + Cmd/Ctrl + E) and set the blending mode of this layer to Soft Light. 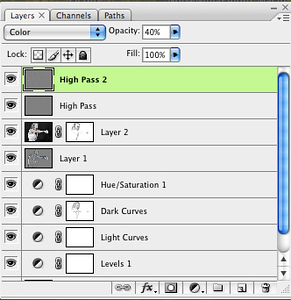 On the Soft Light layer, run the High Pass filter (Filter > Other > High Pass). Use a fairly high setting, but adjust to taste. Reduce the layer opacity to 75%. 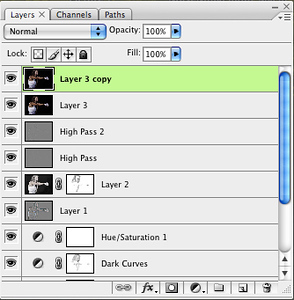 Merge visible into a new layer (Shift + Alt + Cmd/Ctrl + E) and set the blending mode of this layer to Multiply. This will make the image very dark. 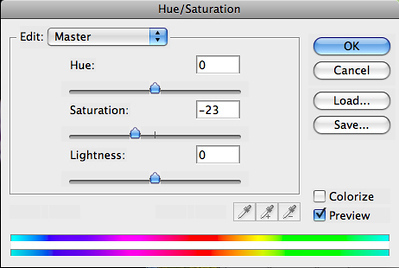 Go to Image > Adjustments > Hue/Saturation and severely desaturate the Multiply layer, almost eliminating all color but not quite. Go to Image > Adjustments > Shadows/Highlights and use the Shadows sliders to bring up some of the darker parts of the image, being careful not to lose the contrast in the brighter parts of the image. This is done to personal taste. Mask this layer and paint away any part of the image that has gotten too dark, using a soft brush (0% hardness) with low opacity (20%). You can choose to stop here or continue to tweak the adjustment layers until you’re happy with the result. Or you can take things a few steps further to make this extra crispy. If you want to go "extra crispy," merge visible into a new layer (Shift + Alt + Cmd/Ctrl + E) and set the blending mode of this layer to Vivid Light. Run the High Pass filter on this layer with a radius of 4. 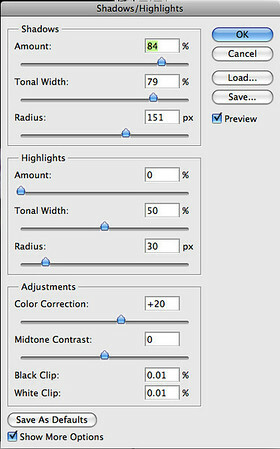 Merge visible into a new layer (Shift + Alt + Cmd/Ctrl + E) and set the blending mode of this layer to Color. 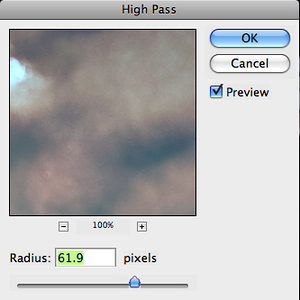 Run the High Pass filter on this layer with a radius of 6.9. Set the layer opacity to 40%. 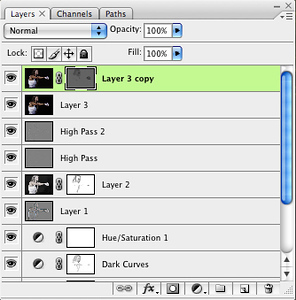 Merge visible into a new layer (Shift + Alt + Cmd/Ctrl + E), then duplicate the merged layer (Cmd/Ctrl + J). This will give you two new layers. 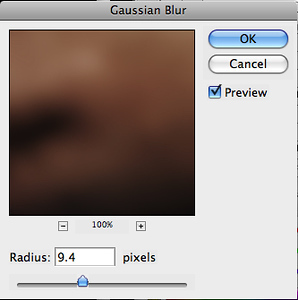 Select the top layer and go to Filter > Blur > Gaussian Blur, use a radius of 9.4. 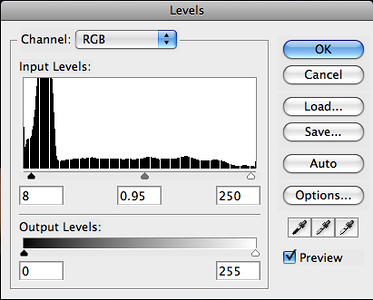 Still on the top layer, go to Filter > Noise > Add Noise. Use uniform distribution at 3%, and uncheck the Monochromatic box. Add a mask to the top layer, then invert it (Cmd/Ctrl + I). Select the paint bucket tool, set to 30% opacity, and fill the mask with white. This will give everything a slight blur. Use the brush tool (0% hardness and 20% opacity) and paint onto the mask with black to bring back sharp details or paint with white to blur areas more. 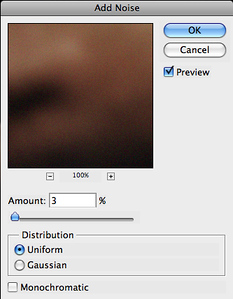 Merge visible into a new layer (Shift + Alt + Cmd/Ctrl + E), then go to Filter > Sharpen > Unsharp Mask. Set amount to 100%, radius to 30 pixels, and threshold to 0. 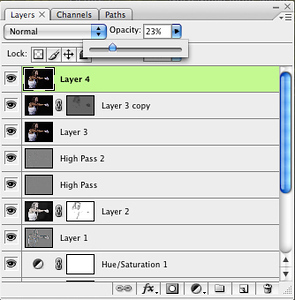 Adjust opacity of this layer to taste.